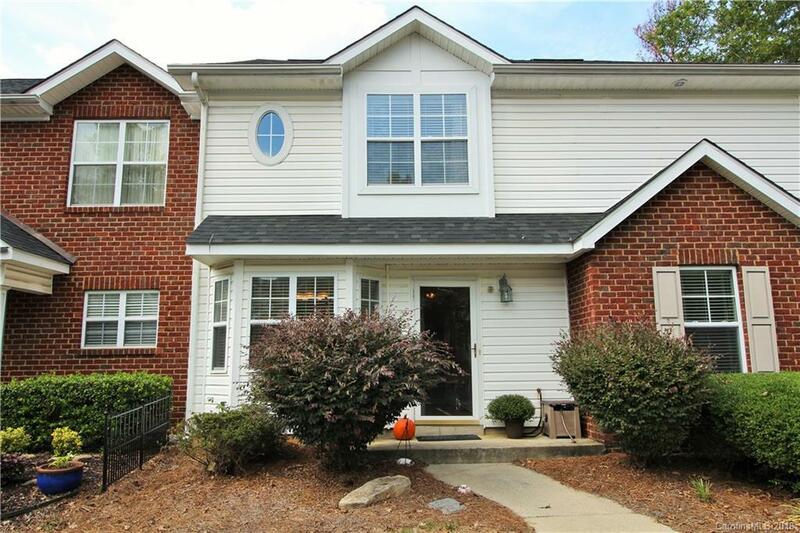 Ready to call this low-maintenance townhouse 'Home Sweet Home'?! Freshly painted walls, trim, and cabinets!! Neutral paint color throughout. Vaulted ceilings in the bedrooms give you such a spacious feel. HUGE closet in one bedroom, and an accent window adds character to the other bedroom. Both bedrooms have an en suite. Stay warm this winter by getting cozy around the living room fireplace. NEW ROOF!! Short walking distance to the clubhouse where there is a pool and fitness center. Clubhouse has 2 grills so you have the opportunity to relax and grill out by the pool during the summer months. This townhouse is just minutes away from shopping, dining, entertainment, and other great amenities. Not too far from Uptown Charlotte, 485, and highway 74. Don't miss the opportunity to make this home YOURS!